When I was a vegetarian, I probably made couscous at least twice a week, mainly because it’s so quick and versatile. It takes 10 minutes to cook; you toss in cubed tofu, beans, or roasted vegetables and dinner’s done. Now in last week’s New York Times Dining Section, they featured a recipe for morning couscous with oranges and dates. After all these years, why didn’t I ever think to do a morning couscous? The problem: I found the NYT recipe to be a bit fussy with straining and cheesecloth and steaming…all unnecessary for a quick morning meal, in my opinion. So I spent a few hours in the kitchen and developed my own simpler version of a morning couscous using two of my favorite ingredients: almond and coconut. The wonderful thing about this recipe is you add the nuts and shredded coconut in at the end, so if you’d rather use dried fruits, raisins, fresh fruit, or different nuts–feel free. I used Israeli couscous (heartier and nice for this time of year) and decided to try cooking the couscous in coconut milk instead of water for a richer, slightly sweet flavor. It turned out beautifully. If you concoct your own version of the recipe, I’d love to hear about it! When you buy cans of coconut milk, the liquid and the solids separate. Give it a good stir and make sure to measure out mostly liquid as that is what the couscous will cook in. I did use sweetened shredded coconut, but you may certainly opt to use unsweetened. If you do, you may just want to add an extra dash of honey or agave. Preheat the oven to 375 F and toast the sliced almonds until fragrant and just golden brown (5-8 minutes). Remove and set aside. Pour coconut milk in a small saucepan and heat until almost boiling, but not quite. Add couscous, honey, and dash of salt and stir quickly. Cover the pot and remove from heat; let sit for 15 minutes. During this time, the couscous will absorb the liquid. Once couscous has absorbed all of the liquid, add in the roasted almonds and shredded coconut and a dash more honey to taste (depends on how sweet you like it). Serve with hot tea or coffee and sliced fruit. This is a great idea, I never thought of breakfast cous-cous either, though I love the convenience of it. Your photography is really amazing. What camera and lense are you shooting with? have you ever taken a course? I haven't figured out how to do montages like that, but would love to know. Thanks, Kelsey! That means a lot as it's sort of the one very unexpected passion that's arisen from food blogging...I use a Canon Rebel Xsi and I'll shoot you an email with some more details! GREAT idea! I often substitute isrealei couscous for grits or oatmeal in the morning! cooking it with coconut milk sounds delish! 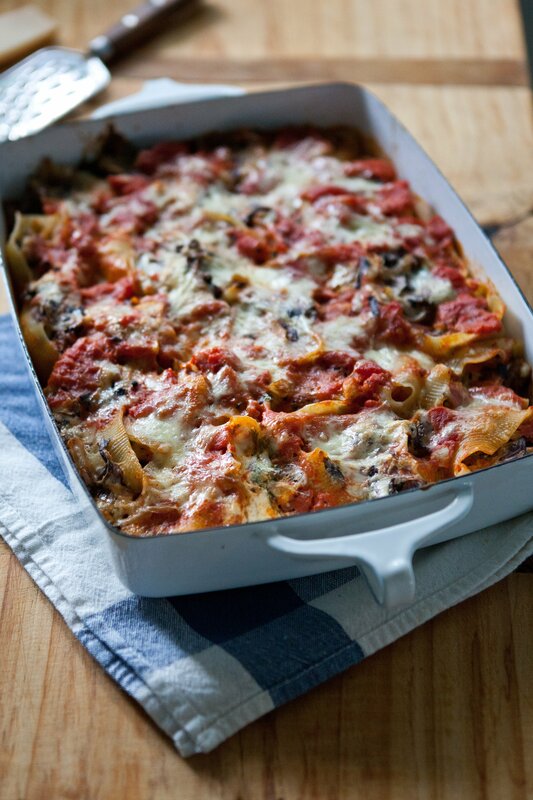 i usually cook it plain and add some brown sugar and raisins but I cant WAIT to try this out! 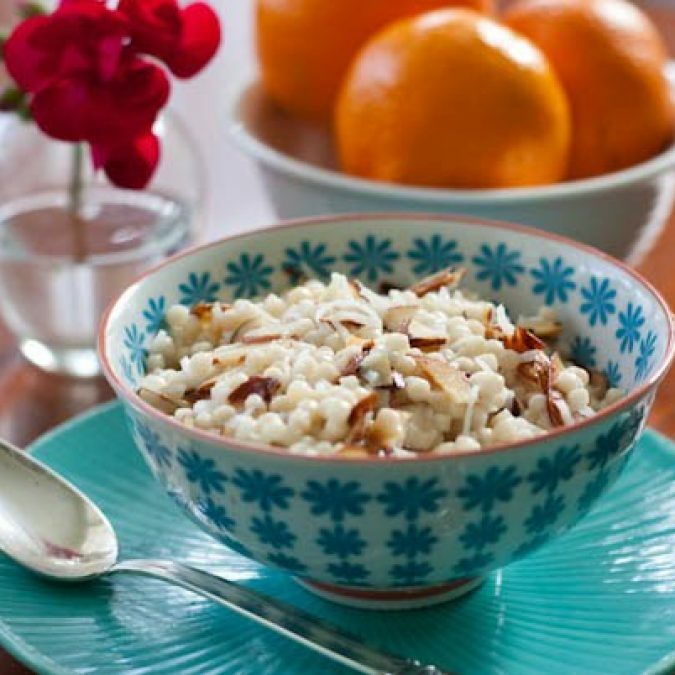 I've recently been enjoying brown rice pudding in place of oatmeal in the mornings, and I love the idea of couscous for breakfast! Great idea. Thanks for tinkering with the recipe for us and sparing us the pain. I'm getting really tired of my regular breakfast. This looks great. I just ate this amazing goodness. It was awesome. OMG - awesome 1I never thought about couscous in the morning either! Definitely giving this one a try. Thanks! Thanks for the comments, El and Mo. It really is easy and delicious. And L, I'm so glad you've tried the recipe and enjoyed it! This looks scrumptious and delicious! I can't wait to try it. :D Thanks for sharing. OMG. This recipe sounds amazing! i'm trying it tomorrow morning! will get back to you on what toppings i decide to put with whatever i have in my pantry. Thanks for sharing! Please do let me know what you add, Iris...perfect for this time of year. Enjoy! I made this recently and enjoyed it.. a bit heavier than expected so I wonder whether light coconut milk would solve that problem? That's a great question. I haven't tried it, but I'd love to hear how it goes if you do. Do remember that it's supposed to be a hearty breakfast dish (so it should be a bit on the heavy side since it's actually cooked in the coconut milk). It's definitely not your light, airy couscous that you fluff with a fork and call it a day. Yours looked excellent though...glad you enjoyed it. It has been a while since you posted this recipe... I was searching for "couscous with coconut milk" and found your recipe that inspired me to make couscous half with water/half coconut milk with some thin apple slices, dried apricot, cinnamon and almonds. It was really good soulfood. Still, I am searching for an additional spice if you have an idea? Hi Julia! Two thoughts: nutmeg would be nice. Not too much. Or what about cardamom? I think that'd be fantastic with the apples and apricots. Best of luck. Thanks for stopping by! I made a version of this tonight using roughly chopped roasted almonds, but with dates instead of coconut, it was so delicious! I also added a pinch of a homemade chai wholespice mix (cinnamon, cardamon, clove, coriander seed and aniseed) to the coconut milk while it was heating- so fragrant! Yay! Sounds so awesome, Frankie! Megan, just a note that you have this tagged Gluten-free which couscous is not. It looks delicious, and I might use it as a jumping off point with some gluten free grains. Thanks for the inspiration. Oh goodness, thank you so much for the note, Ali. Of course. That must've been a mistake in the mad-tagging that was done to bring the new site about. Thank you for catching it - I've updated it now. Have a great weekend (and enjoy the recipe should you try it). Hi! 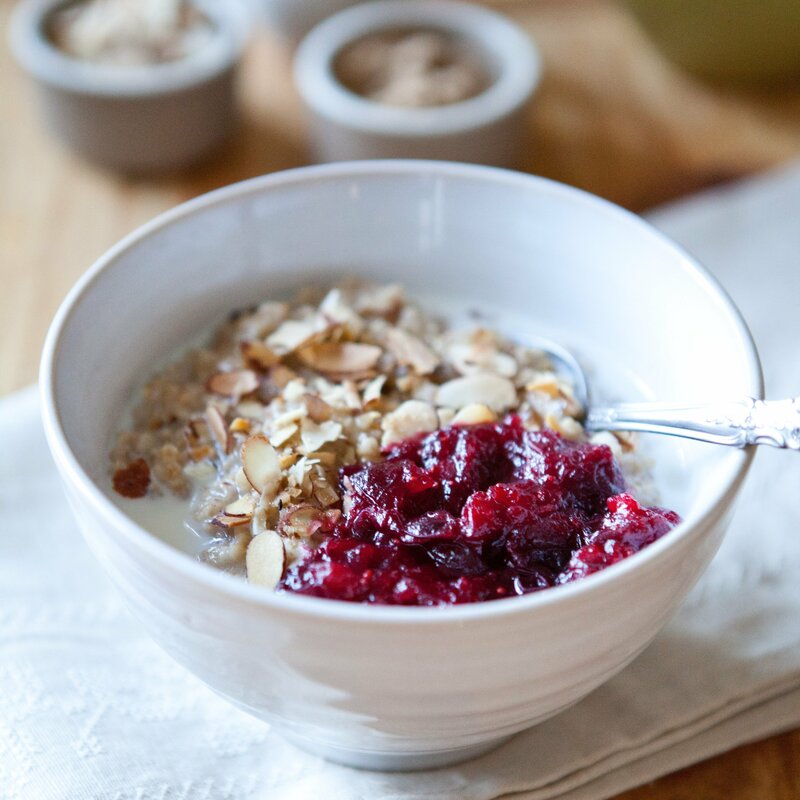 This is quite a few years later BUT I'd love to make this before it warms up and I turn away from porridge towards smoothies. I'm just wondering - the instructions on my Israeli couscous (Bob's Red Mill) call for 1.5 cups of water for every 1 cup of couscous... Do you think I should add extra water? Or will the lack of excess liquid just make it more porridge-y. Hi, Aidan! Sorry for the delay here. Interesting. I'd go with the package instructions for that product - perhaps do the 1 up coconut milk as the recipe suggests and 1/4 cup water and I bet it'll turn out perfect. If it starts seeming a little dry, could always add that extra 1/4 cup. Good luck + enjoy. 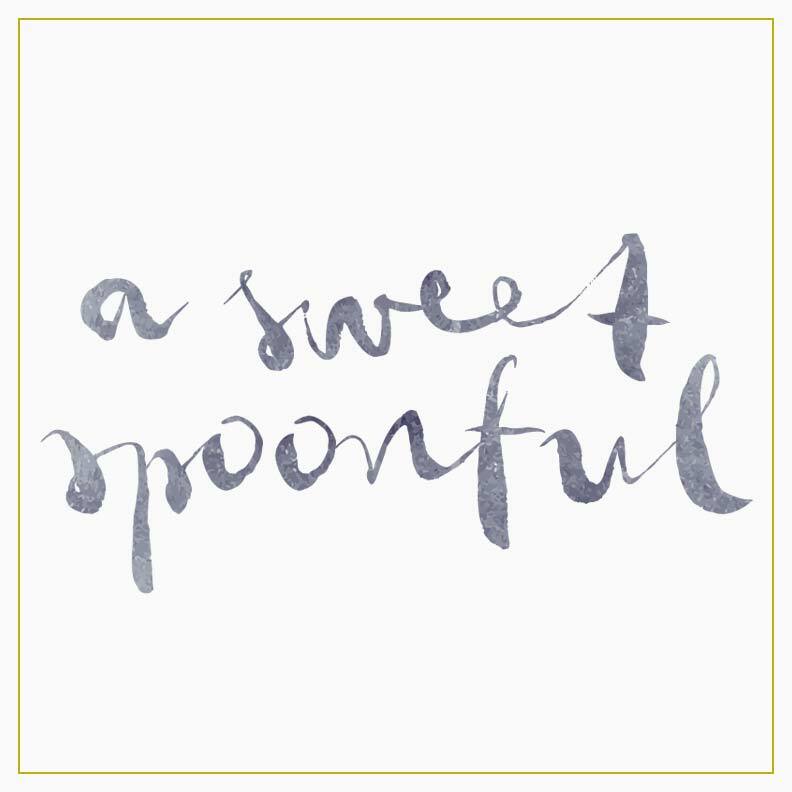 Welcome to A Sweet Spoonful, my blog devoted to seasonal cooking, whole grain baking, and casual gatherings in our Pacific Northwest home. My name is Megan Gordon and I'm so glad you're here. People describe raising young kids as a particular season in life. I hadn't heard this until we had a baby, but it brought me a lot of comfort when I'd start to let my mind wander, late at night between feedings, to fears that we'd never travel internationally again or have a sit-down meal in our dining room. Would I ever eat a cardamom bun in Sweden? Soak in Iceland? I loved the heck out of our tiny Oliver, but man what had we done?! Friends would swoop in and reassure us that this was just a season, a blip in the big picture of it all. They promised we'd likely not even remember walking around the house in circles singing made-up songs while eating freezer burritos at odd hours of the day (or night). And it's true. Oliver is turning two next month, and those all-encompassing baby days feel like a different time, a different Us. In many ways, dare I say it, Toddlerhood actually feels a bit harder. Lately Oliver has become extremely opinionated about what he will and will not wear -- and he enforces these opinions with fervor. Don't get near the kid with a button-down shirt. This week at least. He's obsessed with his rain boots and if it were up to him, he'd keep them on at all times, especially during meals. He insists on ketchup with everything (I created a damn monster), has learned the word "trash" and insists on throwing found items away on his own that really, truly are not trash. I came to pick him up from daycare the other day and he was randomly wearing a bike helmet -- his teacher mentioned he'd had it on most of the day and really, really didn't want to take it off. The kid has FEELINGS. I love that about him, and wouldn't want it any other way. But, man it's also exhausting. I just finished washing out Oliver's lunchbox and laying it out to dry for the weekend. My favorite time of day is (finally) here: the quiet of the evening when I can actually talk to Sam about our day or sit and reflect on my own thoughts after the inevitable dance party or band practice that precedes the bedtime routine lately. Before becoming pregnant for the second time, I'd have had a glass of wine with the back door propped open right about now -- these days though, I have sparkling water or occasionally take a sip from one of Sam's hard ciders. Except now the back door's closed and we even turned on the heat for the first time yesterday. The racing to water the lawn and clean the grill have been replaced by cozier dinners at home and longer baths in the evening. You blink and it's the first day of fall. I'd heard from many friends that buying a house wasn't for the faint of heart. But I always shrugged it off, figuring I probably kept better files or was more organized and, really, how hard could it be? Well, I've started (and stopped) writing this post a good fifteen times which may indicate something. BUT! First thing's first: we bought a house! I think! I'm pretty sure! We're still waiting for some tax transcripts to come through and barring any hiccough with that, we'll be moving out of our beloved craftsman in a few weeks and down the block to a great, brick Tudor house that we wanted the second we laid eyes on it. The only problem: it seemed everyone else in Seattle had also laid eyes on it, and wanted it equally as much. I'm not really sure why the homeowner chose us in the end. Our offer actually wasn't the highest, but apparently there were some issues with a few of them. We wrote a letter introducing ourselves and describing why we'd be the best candidates and why we were so drawn to the house; we have a really wonderful broker who pulled out all the stops, and after sifting through 10 offers and spending a number of hours deliberating, they ended up going with ours. We were at a friend's book event at the time when Sam showed me the text from our broker and I kind of just collapsed into his arms. We were both in ecstatic denial (wait, is this real?! Did we just buy a house?) and celebrated by getting chicken salad and potato salad from the neighborhood grocery store and eating it, dazed, on our living room floor. Potato salad never tasted so good. If your house is anything like ours, last week wasn't our most inspired in terms of cooking. We're all suffering from the post-election blues -- the sole upside being Oliver's decision to sleep-in until 7 am for the first time in many, many months; I think he's trying to tell us that pulling the covers over our heads and hibernating for awhile is ok. It's half-convincing. For much of the week, instead of cooking, there'd been takeout pizza and canned soup before, at week's end, I decided it was time to pour a glass of wine and get back into the kitchen. I was craving something hearty and comforting that we could eat for a few days. Something that wouldn't remind me too much of Thanksgiving because, frankly, I can't quite gather the steam to start planning for that yet. It was time for a big bowl of chili. to really seal the deal.